Ayala Center’s Christmas Tree. Lighting up the tree are from left, Rustan’s Lorna Alvarez and Pepet Macachor, Ayala Center Cebu general Bong Dy, Mutya Desamito of Toys R’Us and Pinky Chang of Pink Flora. SEDA’S First Tree-Lighting. Doing the honors of lighting up the Christmas tree are from left, Seda’s group director of sales and marketing Melissa Carlos and group general manager Andrea Mastellone, group head commercial business Ayala Land Junnie Jalandoni, group director of human resources Wilma Estaura, and Seda hotel Cebu general manager Gwen dela Cruz. Blu Christmas. 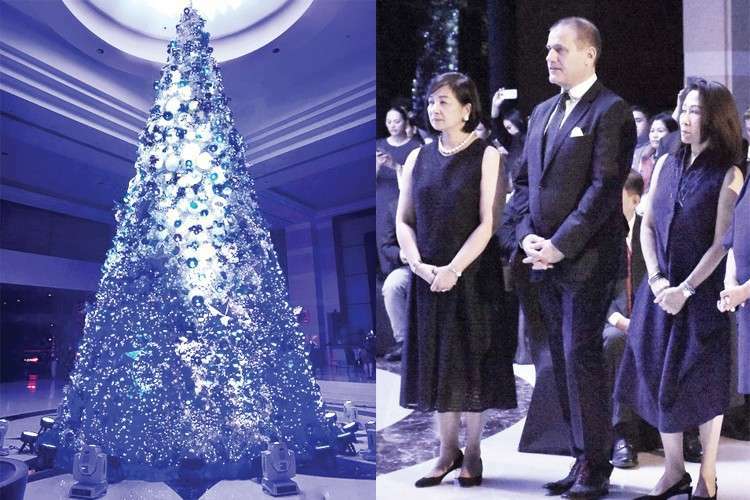 The towering blue tree at Radisson Blu Cebu; the hotel frontliners, SM Hotels & Conventions Corp. (SMHC) executive vice president Peggy Angeles, hotel general manager Stephan Sieberg and SMHC president Elizabeth Sy. CHRISTMAS lights, Christmas trees and Christmas carols are all over town. Yes, Christmas is almost here. SM Seaside City Cebu chose a unique Christmas theme with its holiday “under the sea” motif. The tree is all of 49 feet and beside it is a 27-foot cake dome. The opening program was a colorful affair featuring a short skit as well as happy songs and dances. 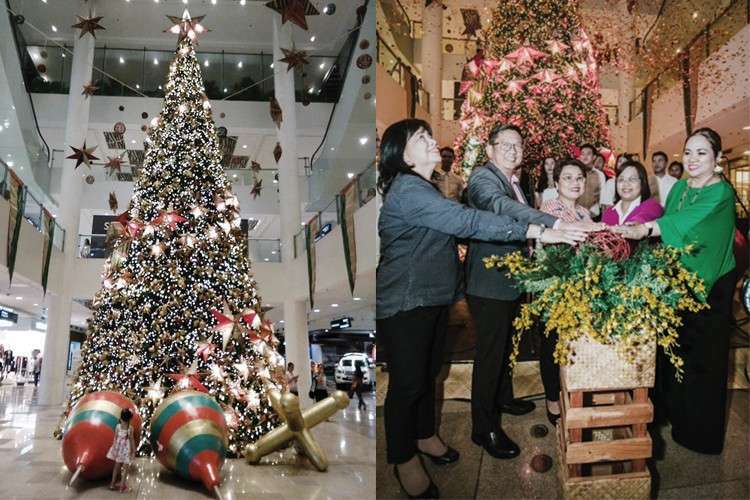 A towering tree at the Gallery of Ayala Center Cebu came alive one early evening in November—a beautiful tree accented by distinct Filipino parols created by Pink Flora. As in previous years, it is a blue Christmas over at Radisson Blu Cebu—blue as in happy blue. To usher in the holiday season, the hotel came up with “A Classical Christmas at the Blu,” a beautiful evening of music featuring the all-male vocal group Opus One along with the multi-awarded Mandaue Children and Youth Choir, and the Cebu Philharmonic Orchestra. 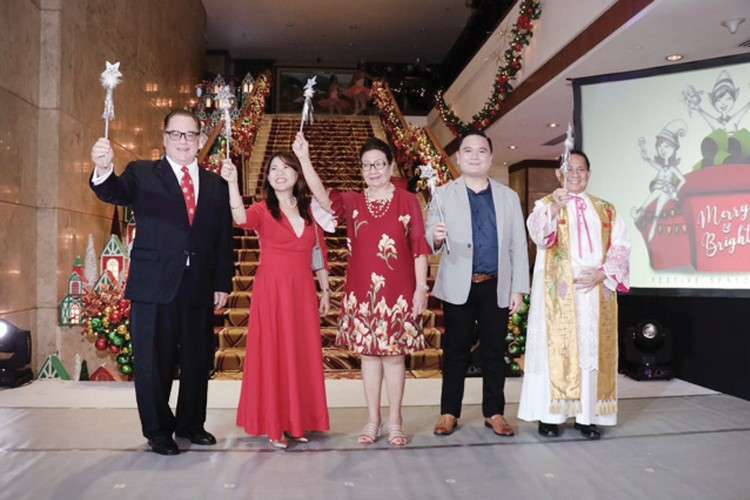 Dubbed “A Timeless Christmas,” the tree-lighting event at the Waterfront Cebu City Hotel and Casino was also an occasion to introduce Kapwa Ko Mahal Ko, and I Can Serve Foundation as part of the hotel’s Corporate Social Responsibility initiative. Traditional Christmas carols filled the air at the hotel lobby that lovely evening. Once again, Marco Polo Plaza Cebu had a big do for the lighting up of its Tree of Hope. The festivities featured performances by the Cebu Centre for Dance, Fidelis Choir and GMA talents. Oh yes, Mr. and Mrs. Claus were present to complete the holiday feel. Christmas balls for the shimmering tree cost P200 each and are available till Jan. 6, 2019. The proceeds go to the GMA Kapuso Foundation. By the way, there’s an ongoing Festive Buffet at Cafe Marco offering the season’s favorites like Christmas Ham, Chicken Relleno, Roast Turkey and the like. 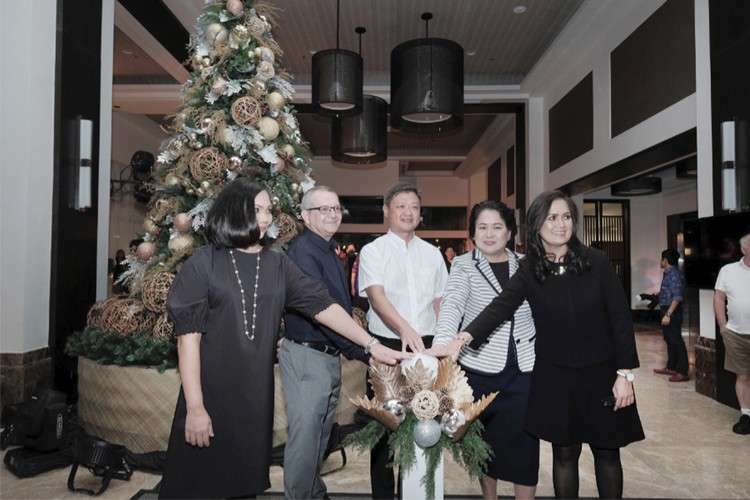 It was the first ever tree-lighting ceremony of Seda Ayala Center Cebu, the newly opened hotel at Cebu Business Park. The tree’s trimmings were primarily indigenous materials to highlight its being a homegrown brand. The celebration was also a chance for Seda to announce its partnership with Smile Train, an international charity focused on providing free cleft surgery for those in need. Too bad we missed the Bluewater Maribago event; the tree-lighting ceremonies of Jpark Island Resort & Waterpark, Shangri-la’s Mactan Resort & Spa, and Waterfront Airport Hotel and Casino in Mactan; the Maayo Hotel in Mandaue; and 38 Park Avenue in Cebu IT Park.